Chairish acquisition of Dering Hall makes it one of the largest platforms for high-end home furnishings in the U.S. 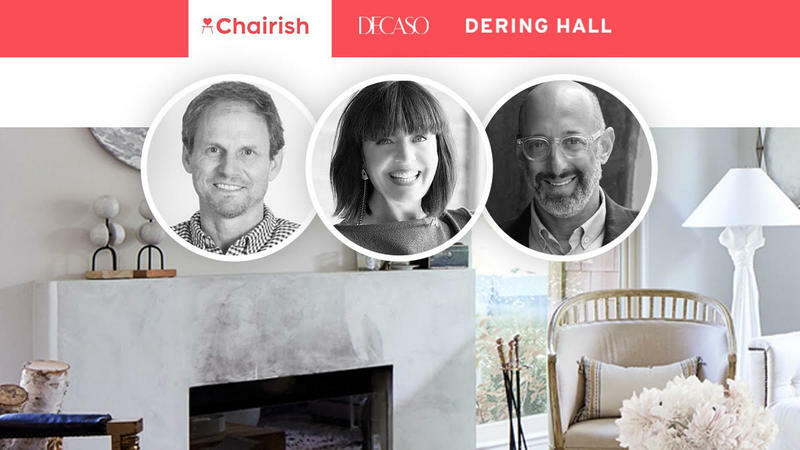 Designers are one step closer to a one-stop online shopping destination after today’s announcement by Chairish, Inc.—parent company of online home furnishings platforms Chairish and DECASO—that it has acquired Dering Hall. The move positions the company as one of the largest digital platforms for high-end home products in the country, with nearly half a million items between Chairish, DECASO and Dering Hall, and brings tremendous opportunities for growth in the contemporary category. The online marketplace launched in 2011, inspired by Sallick’s cofounder designer Steven Gambrel’s need for an easier way to search for home furnishings. The duo got the site off the ground with more than 100 designer partners (early adopters included the likes of Rose Uniacke, John Derian and Will Wick), then grew the platform with a $1.4 million seed round in 2013 and another $2.5 million round in 2015 from the likes of Lerer Ventures, Softbank Capital and Hearst Corporation. In 2016, the Chairish team debuted DECASO (short for A Decorative Arts Society), which applied the Chairish ethos and tech platform to vetted antiques dealers. Even then, the goal was to simplify the shopping experience, creating a curated platform for designers and consumers. The two platforms have continued to grow: Last February, Chairish added showroom samples to its inventory; in March, both brands launched an augmented reality app and revealed a revamped trade program that include perks like hidden trade pricing, 48-hour hold requests and dedicated trade support for sourcing and fulfillment. (“Designers are VIP customers at Chairish and DECASO,” Anna told BOH at the time.) DECASO made headlines last year with several designer-friendly updates of its own, including an authenticity policy banning fakes and an updated return policy.